The Most Dangerous Places for Motorcycle Riders | Hupy and Abraham, S.C. Riding has risks. Every time we swing our leg over the seat, we run the equation of risk versus reward and had the solution come out in favor of dropping a gear. Most of us do everything we can to minimize those risks, from advanced classes and practicing to special gear and routine maintenance. Situational preparedness is a foundational safety concept that is often overlooked. Left Turns: According to the National Highway Safety Administration (NHTSA), 36 percent of motorcycle accident fatalities are caused by left turns, and 74 percent of motorcycle motor vehicle crashes are head-on collisions. Intersections and turning places are where you need to be on your highest alert. Watch the oncoming or turning traffic and don’t hang out in a car’s blind spot because if it’s a two-lane intersection, a turning car could make a rapid turn and not even see you. Slow down, cover your horn if you can, flash your blights and don’t proceed until you are sure it is safe, a driver can look straight at you and not see you. Neutral is for Switzerland: According to a 2007 NHTSA study, rear-end collisions account for 11 percent of motorcycle deaths, that’s roughly 600 fatalities in the U.S. every year. Keep an eye on your mirror, consider keeping your bike in gear and have an open space to aim for if it looks like someone doesn’t see you at a stop (or in traffic). Inclement Weather: Riding in the rain isn’t terrible, but you should be mentally prepared. Rain is most dangerous in the first hour or two, or if it’s misting lightly, especially if it hasn’t rained in a while. Oil and sediment are lifted from the road and create a slick film before being washed away. Try to stay off the center of the lane where oil collects. Road lines and metal railways will be like ice. If you have to cross them, try to hit them straight on and bear in mind that you’ll be less visible. Between you and the Pavement: Take five seconds to check your tires regularly. Make sure they have sufficient tread (learn the penny trick), have rain grooves and are in good condition. Your tires are literally the only thing between you and the pavement. Distracted Driving: We ride and drive in a scary world today. Far too often when I look over at another driver, I see someone texting, snapping, applying makeup, making a sandwich, or doing something else equally terrifying. The average text takes 4.6 seconds to read or write. Just three seconds of texting while driving at 65 mph is equal to driving the length of a football field, blindfolded. It goes without saying, but ALSO bears repeating, be aware, be alert, and if you see someone driving erratically in any way, give them space. Blind Spots: Stay out of them. Whether you’re riding or driving, they’re not a safe place to be. The society of automotive engineers (SAE) recently conducted a study that found a whopping 47 percent of drivers don’t use their turn signals before merging, which is yet another reason to leave ample space and steer clear of blind spots. Nighttime: I’m not saying not to ride at night. 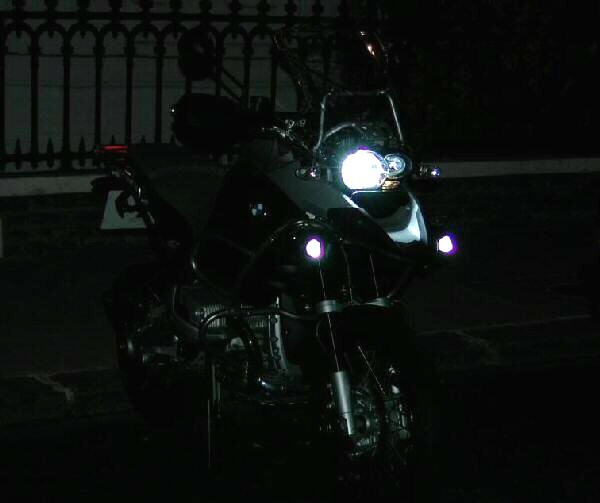 I AM saying that when you ride at night, you are taking an already hard-to-see vehicle and essentially camouflaging it. Headlights and taillights can fade or go out, OR by manufacturer’s design (or fabricator’s modification) be insufficient. If a driver has reversed their rearview mirror will they KNOW there's a vehicle behind them? I once pulled up next to a rider that appeared out of nowhere at night. He was previously behind me and his headlight was on, but it was essentially nonexistent for that bike model, and he had no idea. I rolled down my window and told him about it, he looked surprised and terrified, of me or that fact we’ll never know. Light Test: Do yourself a favor this riding season and park your bike somewhere dark and turn on its lights. Then walk 30 feet away and take a good hard look at it. Is it extremely noticeable? If not, consider making (legal) modifications to make it so, your life may depend on it. Midcorner Hazards: It’s a terrifying moment for any rider to find something midcorner that they didn’t expect. Straighten the bike if possible before braking. If not possible, brake as hard as you can without skidding, then release, straighten and brake again. It is important to use as much of the back brake as possible when the bike is not straight because you can control a back end slide much more than a front. Target fixating can be a serious problem too, so try to aim for wide-open spaces. Reading safety facts about motorcycles can be intimidating, but should never deter a passion. According to a 2013 NHTSA study, out of 8,404,687 motorcycles registered in the United States, there were 4,668 fatalities and 88,000 injuries. That’s a 0.06 percent fatality rate and 1.05 percent injury rate for the entire nation. 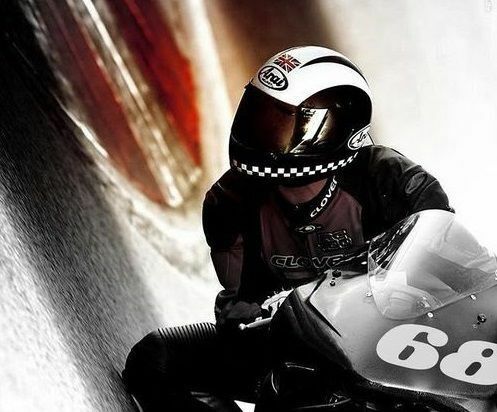 The importance of safety and avoiding crashes is so critical on motorcycles due to the lack of protection you have while riding one, only an individual rider can decide what level of protection they will employ to try and balance those risks. We at Hupy and Abraham, S.C. always encourage everyone to ride responsibly, and promote the Watch for Motorcycles message.